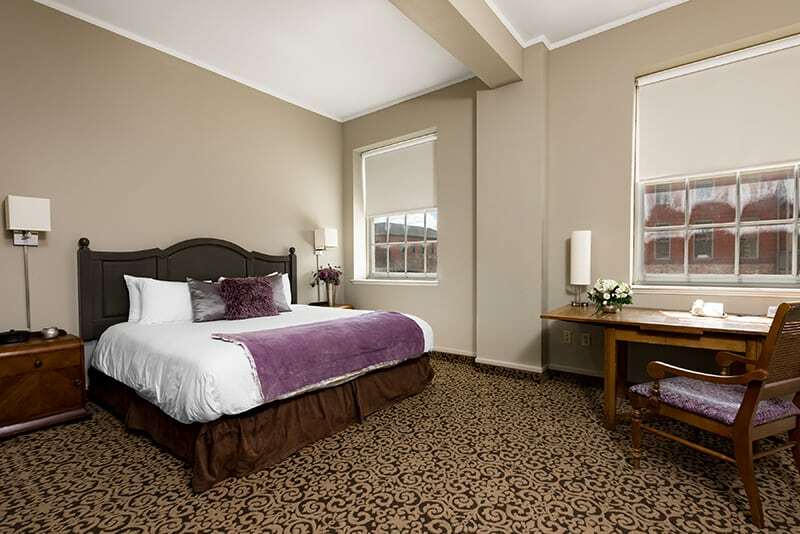 Our modern upscale Deluxe King room features one plush king bed and one bathroom. Learn more and book below. Our vibrant Deluxe King room is adorned with essential amenities and furnishings, including a large king bed and one bathroom. Guests will discover fresh linens and towels, comfy bathrobes, a flat-screen television with cable/satellite, internet service including WiFi, a tea/coffee maker, and many other convenient features. This room is also wheelchair friendly.